Tony Wall presents the ISD sponsored award to Steve Shipp and his team from Ultra Refrigeration, at the RAC Cooling Awards 2016 at the London Hilton. Ultra Refrigeration won the award amid stiff competition for their work with Chinese Food Specialists SeeWoo which overcame a number of technical challenges including a high-end display. The project won in a highly competitive category on the basis of “proper engineering innovation” according to the judging panel. 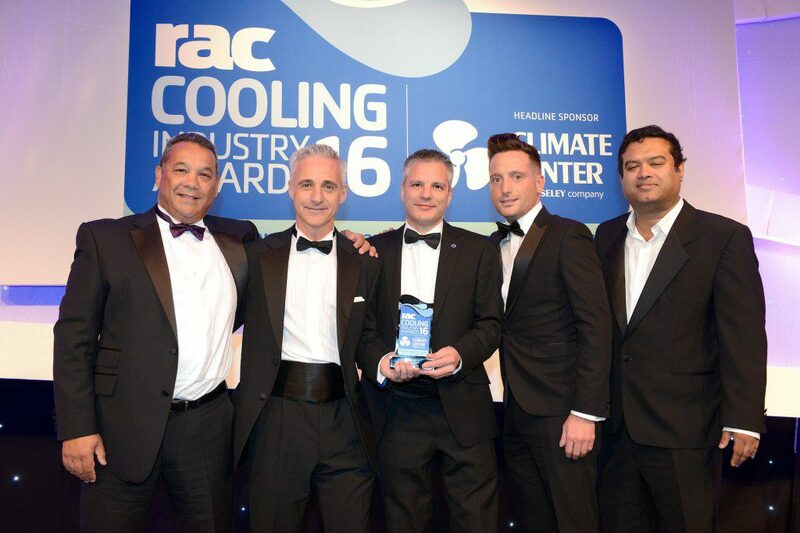 ISD Solutions had a project of their own shortlisted for a RAC Cooling Award under the Environmental Collaboration of the Year category. In collaboration with FJB Systems, Kingspan and Turners, ISD expanded an existing temperature controlled facility for Turners at Bicker using the latest ultra energy-efficient Quadcore IPN panels which significantly reduce the sites forecast heat load.